Sports Minister approved the national team for the 5th Carrom World Cup which comprised top national ranked players for both men and women teams. This tournament will be held from August 24 to 29 at Chuncheon, South Korea under the aegis of International Carrom Federation and hosted by Korea Carrom Federation. Sri Lankan team has been nominated by the selection committee of Carrom Federation and approved by the Sports Minister. There are six senior players with international experience, out of the eight players. 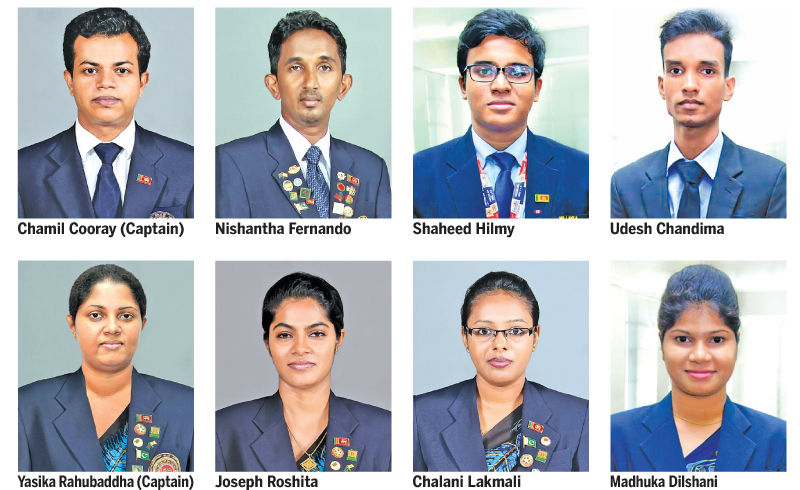 Men’s team consist of with Chamil Darshana Cooray (Captain) of Seylan Bank and Nishantha Fernando of SL Navy, Shaheed Hilmy of Royal Collage and Udesh Chandima Perera of SL Air Force while women’s team consist of Yasika Rahubaddha (Captain) of SL Air Force, Joseph Roshita of SL Navy, Chalani Lakmali Liyanage of SL Air Force and Madhuka Dilshani of SL Army. Mohamed Sherifdeen and Maduwanthi Gunadasa of SL Army will be the substitutes. President of CFSL Parakrama Basnayake and VP/CFSL Brindly Wickramasinghe will be the officials on the tour. Nishantha Fernando who titled as World Carrom Champion in 2012 and Chamil Darshana Cooray titled as ‘Swiss League Champion’ twice in 2014 at Maldives and 2016 in UK, are the Lankan main hopes at the World Championship.